Wi-Fi performance suffers in environments where too many devices connect. Your router tells you what devices are on your Wi-Fi, but determining what those devices are doing is a little more complicated. With some additional software, you can look at the data going across your network. You cannot, however, view encrypted information using these tools. Most Wi-Fi routers run a Dynamic Host Control Protocol server. The DHCP server assigns an IP address for any device attempting to connect to the network. In the status field of your router, you can see a list of all the addresses, typically labeled the “DHCP Client List.” Each list will be associated with a MAC address, which is the hardware address. Sometimes a client name will also appear, which can give you an idea of the device requesting the addresses. This function does not account for devices which assigned themselves an IP address. A list of DHCP-assigned IP addresses does not tell you a full story. These addresses are assigned for a certain amount of time then reassigned to the next device attempting to access the network. The Media Access Control address, however, is always assigned to a single device. This device MAC address can be used to verify that device type. Simply check the MAC address listed on your home’s device -- in Windows, for example, pull up a command prompt by typing “CMD” in the search bar. After opening the command prompt, type “ipconfig” and press enter. Find your network adapter’s MAC address and compare it to the list in your Wi-Fi router. Your ability to monitor the sites accessed by your Wi-Fi clients depends on your networking hardware. The easiest way is to download a network monitoring software that uses Simple Network Messaging Protocol. SNMP, however, is not supported on most home routers. Even with SNMP, the information is not always detailed enough to identify specifically who is accessing which site. A more thorough option involves port monitoring. 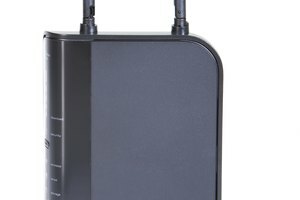 Business-class wireless access points often include a port monitor option to connect a wired PC directly to the access point through Ethernet and have all wireless information forwarded to you. You can then use a sniffer to identify which IP addresses are making Internet requests to which servers; however, sniffers can only evaluate non-encrypted data. If the user you’re monitoring is connecting through a VPN tunnel, for example, you’ll only be able to see the endpoint address of that tunnel. Alternatively, you can invest in hardware-based Web monitor, which is then wired in-line between the Wi-Fi router and the Internet modem. This approach may be too expensive for the average user, however. If rogue Wi-Fi users are a problem, you need to do more than simply identify them. First, make sure your Wi-Fi access point uses some form of security. Not only does wireless security prevent unwanted users from connecting, but the encryption key also prevents unauthorized users from intercepting the data delivered wirelessly by authorized users. To limit how much bandwidth any one user can consume, consider configuring Quality of Service. QoS can limit each user to a specific amount of maximum bandwidth, preventing one user from slowing down the connection for everyone else. What Is My IP Address: What is a MAC Address? 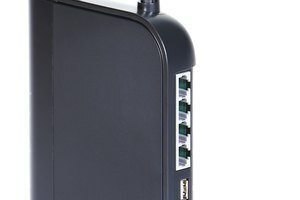 What Are the Numbers on the Side of a Netgear Router? Andrew, Jacob. "Can I Tell Who's Accessing My Wi-Fi & What Sites?" Synonym, https://classroom.synonym.com/can-tell-whos-accessing-wifi-sites-8712.html. Accessed 20 April 2019. 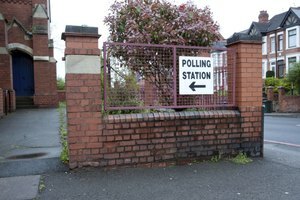 How Can I Find What Precinct I Live in?